I'm joining Marty over at A Stroll Through Life for her Tabletop Tuesday party! and a chair for yourself, while I go pick a lemon or two. Pokadots are so happy!! I love the green pitcher thing also!! I love the platter in the background with the birdie. Super beautiful! What a charming post...love everything..the flowers are so sweet too! 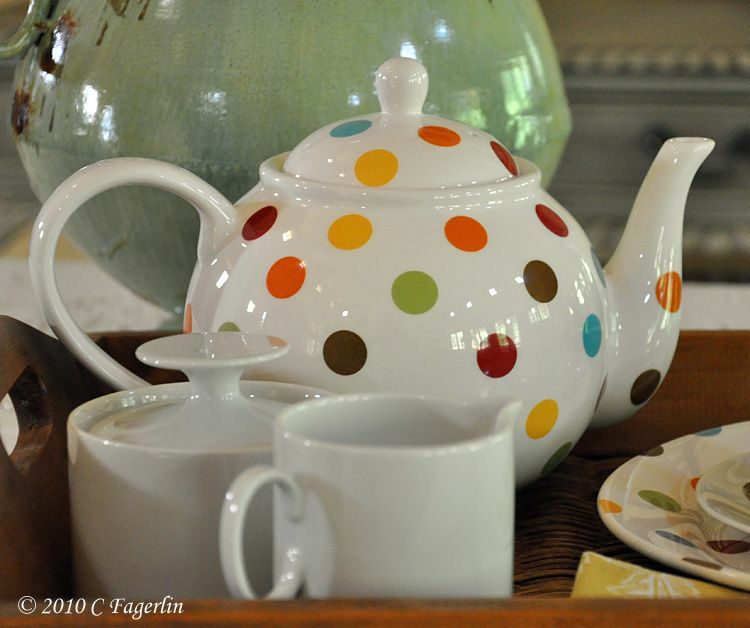 Don't polka-dots just brighten any day? So cute! I see so many pretties. Love your lovely dressed tray! 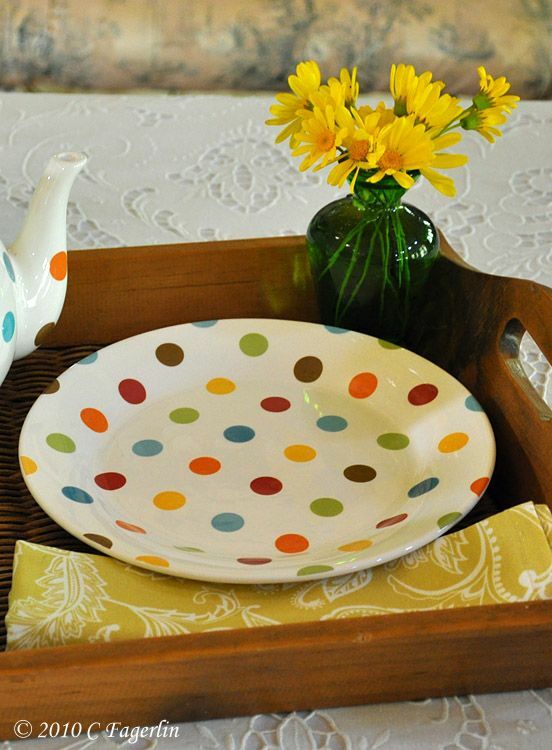 Those polka dot dishes are darling! Now I'm seeing some lovelies in the background that are fuzzed up. You're going to have to post on these too. Just too cute! Those polka dots are too much...when will spring ever come to Colorado? beautiful post as usual! 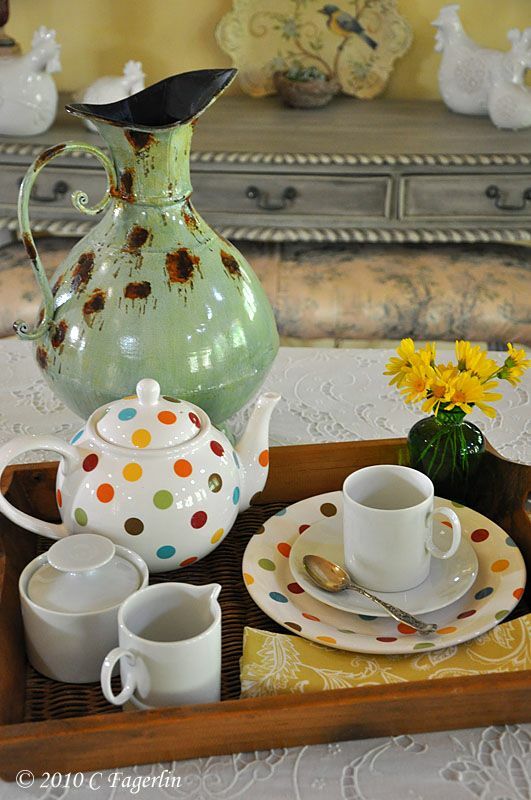 I love the dotted set...so gorgeous! What a lovely Tea Tray! The teapot and desert dish are darling! I love the cup/saucer and spoon already for Tea! The tray is wonderful! I love the bird platter? In the background and the buffet? Looks like you have seating underneath? So pretty! 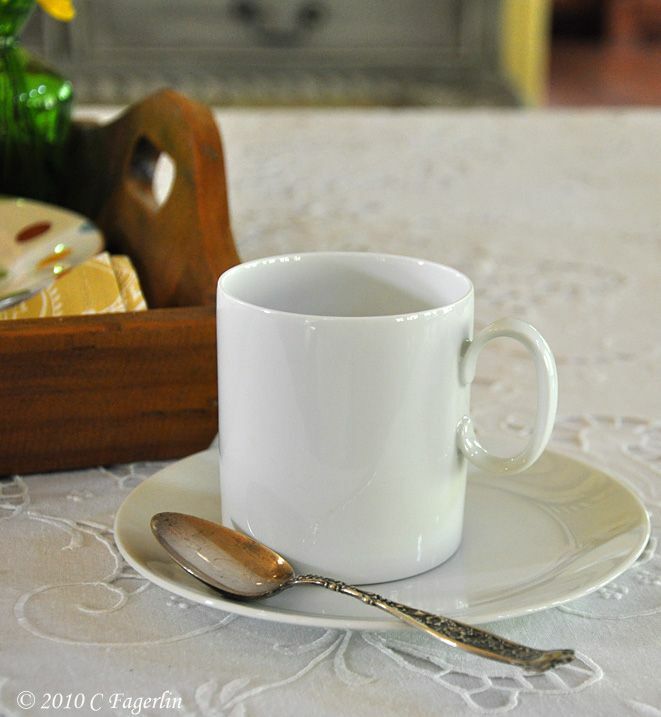 Thank you for joining me for Tea Time Tuesday! 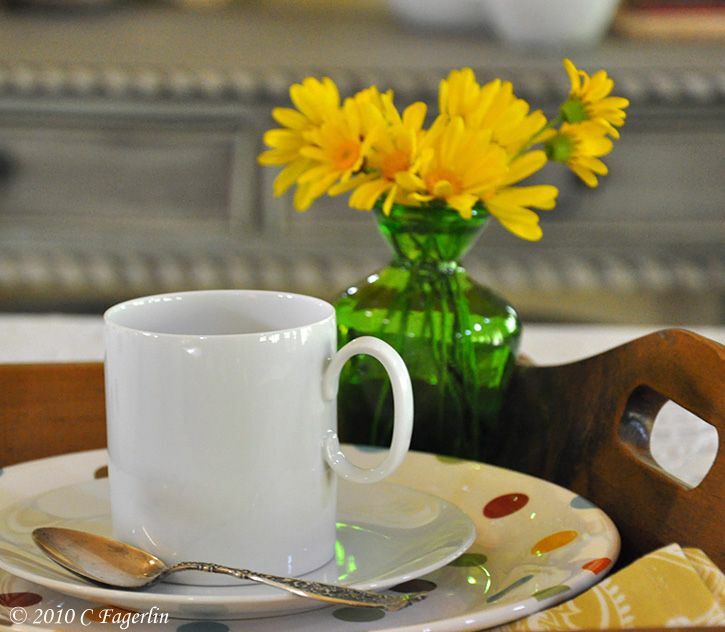 Martha, It is so cheery, and hope you weather the storm with this lovely cup of tea! Good morning! It's gonna be a SUNNY day here in California, so I'm off to play in the dirt! Thanks so much for stopping by with your lovely comments, hope to see you all again on Tuesday! Thanks Joan! 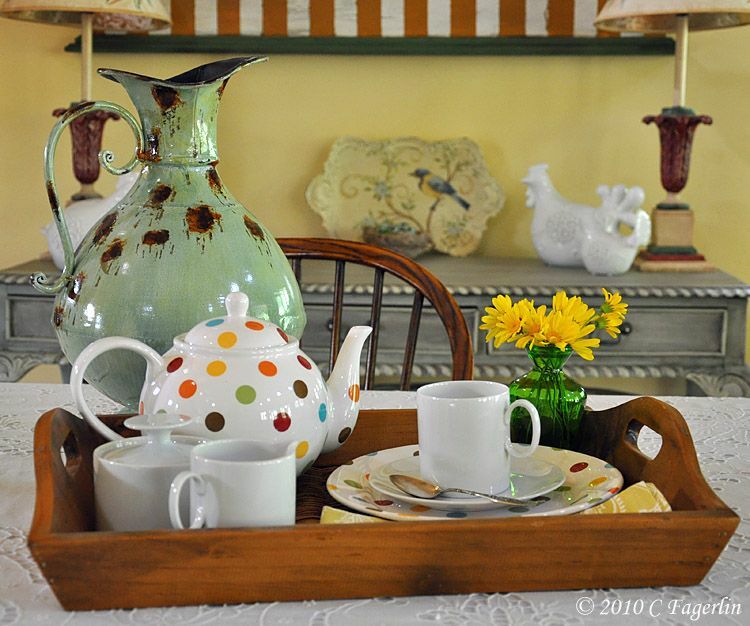 I use the polka dot plate a lot and have really come to enjoy them in lots of settings.